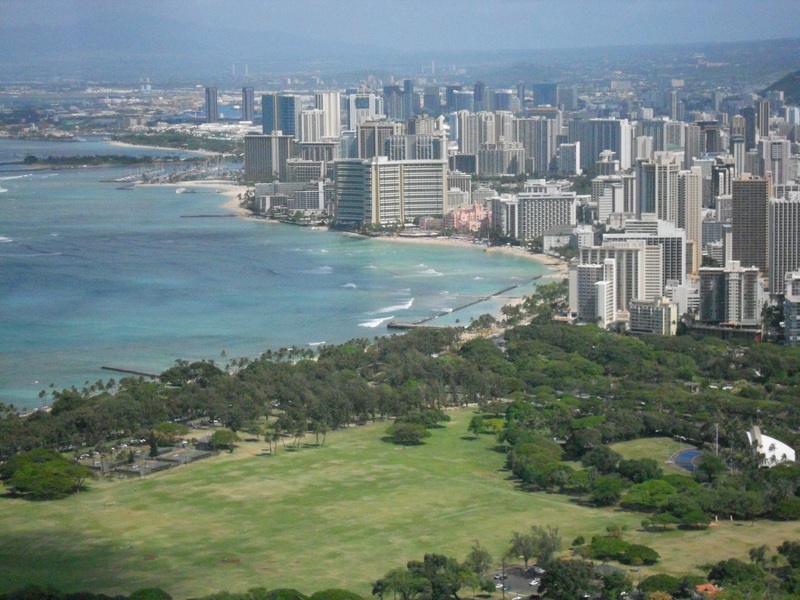 The view of Honolulu from atop Diamond Head on Oahu, Hawaii. Great picture. I think I have a similar one. Wasn’t the hike up wonderful. All those cement steps and almost crawing thru the bunker! Yeah, I really loved the hike. Being from Colorado – and back down at sea level in Hawaii – it wasn’t too tough, just a lot of fun.